Here is a interesting video that was on RTE's Nationwide a few years back talking to the man himself Dave Neville on how Nevsail came about, where it is today and plans for the future, hope you all enjoy. Here is a video made by LIT's Outdoor Club on there experience with us in 2016 giving kayaking and Stand Up Paddle Boarding a go on the River Shannon, Limerick. A look in to the NEW abseiling Thomond Park package in association with Nevsail. 48 hours in Limerick.... the adventure starts now. Discover Limerick with Nevsail Watersports/Limerick Adventures. A GoPro view of Nevsails indoor rock climbing wall experience. 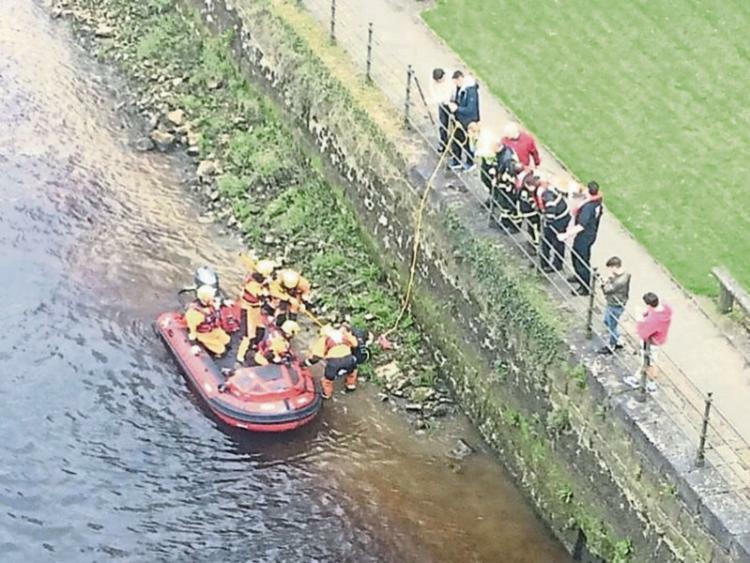 The alarm was raised shortly after 1:30pm when a a man, believed to be aged in his 30s entered the Abbey River behind Sarsfield House in Limerick city. Nevsail, a Limerick owned and based sailing, kayaking and adventure company, were operating kayaking lessons at the time when one of their instructors managed to grab the man and pull him to the riverside. Assisted by others, the Nevsail instructors held on to the man and supported him until emergency response crews arrived on scene. Limerick City and County Fire and Rescue Service were alerted as were Limerick Marine Search and Rescue before Swift Water Rescue Technicians from the fire service pulled the man to safety and brought him to the slipway at Curragower Boat Club. There, emergency medical technicians with the National Ambulance service, treated the man at the scene before he was brought to University Hospital Limerick where his physical conditions is said to be stable.